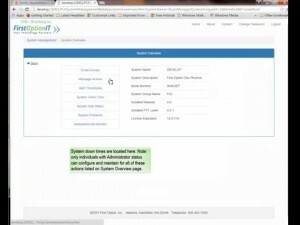 iSeries Monitoring Software - Data Centers and multiple LPARS. IBM i Watchdog by First Option is an iSeries monitoring software solution that provides centralized management via a user friendly interface for key system health threshold alert definitions, day, time and duration to suspend monitoring to accommodate scheduled maintenance, customized email groups for routing of informational and inquiry messages to a pre-defined support team. It is ideally suited for Data Centers and companies with multiple iSeries LPARS. A color coded screen alerts NOC staff to critical problems that require an immediate response as well as warns of potential problems. Inquiry messages can be responded to directly from the system management screen. Detailed message interrogation is performed down to the job level. Job Queue depth interrogation is available to send an alert when the queue exceeds a number of jobs over a specified period of time. The initial set up can be completed in under an hour. An SSL connection is established to send your data to an FOI server housed in a data center that provides a secure environment and 24/7 infrastructure. Central management alerts for systems that have not reported status. Centralized easy to use system management user interface that allows inquiry message response. QSYSOPR informational and inquiry message interrogation. Ability to monitor and report messages down to a specific job within a specific subsystem or as generic as a job that starts with specific characters. Ability to bypass message alerts for specific messages to reduce the ‘noise’ factor. Ability to bypass specific disk messages. Ability to keep track of saved and unsaved objects. DASD interrogation with user defined thresholds. Tape status with user defined time thresholds. Customized email groups for alert distributions. User Interface - Using Bootstrap, the most popular HTML, CSS, and JS framework in the world, the application has a new look and is mobile aware. User Interface - Only Show Systems w/ issues - Prior to this modification, a specific system OR all systems were displayed. For customers monitoring multiple LPARs, they will have the option to limit the list to those systems requiring attention. CPU Monitoring - Capture list of top jobs responsible for sending the CPU % above its threshold. Subsystem/Job Alerts - Ability to send message if a job queue/job is not running at a specified time OR job is still running. This allows the user to monitor if a mission critical application (e.g., EDI, Order processing, etc.) is active. It also allows the user to monitor if a time sensitive job (e.g., billing, invoice creation, etc.) is taking longer than anticipated causing delays in the following processes. Security Audit Log (QAUDJRN) Monitoring - Using QAUDJRN, this enhancement will send an alert when a System Value or user profile is changed. Threshold duration for DASD usage - For jobs that create temporary work files and then remove them when the process is completed, this will allow the user to only send an alert when the DASD has exceeded the threshold for a user specified amount of time. Reporting - New reporting abilities using DB2 Web Query that includes historical reporting, and trend analysis. "IBM i Watchdog by First Option is an affordable, easy to install, and feature rich product. We have been able to add additional clients/Servers without increasing staff to manage the new systems."